Please contact me at Madison.Girifalco@gmail.com for readings! Along with curating and managing the planning of this event, my team and I promoted the event through our blog Mouthy Mag by featuring artists and posting photos of what could be expected. In this process we also were promoting V-Day, an organization that works to spread awareness towards violence against women. You can see articles from this campaign here. This show featured art about people and ideas that have changed the world. It's about unity, civil rights, social justice, and how actively being yourself can make a positive difference in your world and community. It's also just about cool stuff. Things that are radical in philosophy and radical in the colloquial sense of the word: Rad. Sometimes in the fine art community, we tend to discredit art created for comedic purposes (comic strips, pop art, puppets etc,) regardless of technical skill or interesting concepts. This show highlights comedic art that brings a little color to the “white walls” of the sometimes stuffy art world. 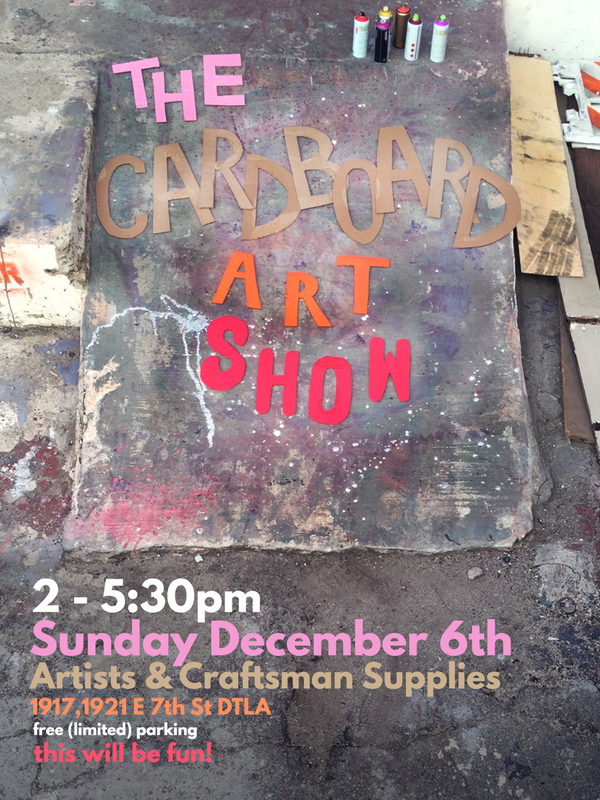 The Cardboard Show challenges artists and viewers to look at the world differently. What may seem like a discarded piece of packaging can turn into a masterful work of art. See how a group of 30 local Los Angeles artists approach this challenge of looking at the world a little differently.